Mutual Reception by Alan Annand, Sextile.com, 2016. Softcover 340 pp. $19.95 (ISBN 978-1-927799-24-6). Available from Amazon. Alan Annand is an experienced Vedic astrologer who has written two previous books from that tradition. 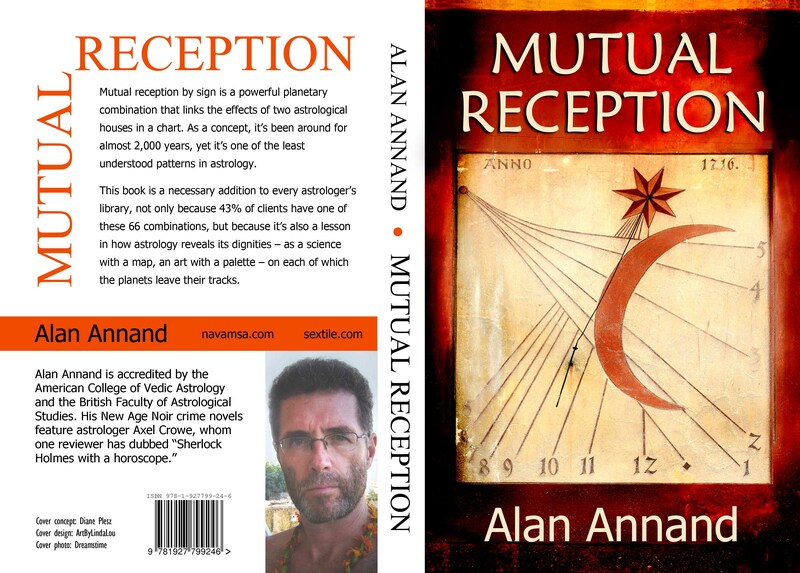 His new book, Mutual Reception, takes a different approach; he begins with a survey of theories of mutual reception from the Western tradition – Greek, Latin, Arabic sources, and the work of William Lilly. This is a thorough accounting of various applications and their distinctions in practice; for instance, he explores the question: Is an aspect necessary for mutual reception to be effective? The author refers to well-known contemporary astrologers who work with the historical traditions (Deborah Houlding, Benjamin Dykes, John Frawley, etc), which makes the book quite current. Annand has some interesting speculations about mutual reception as well, including a subtle view, reminiscent of quantum theory, which suggests new layers of how planets “exchange signs.” He discusses such topics as mutual reception’s psychological effect, the control planet, the gestalt of mutual reception, and dignities specific to both Western and Vedic astrology. The main part of the book (about 250 pages) goes in a different direction. Here, Annand gives delineations of 66 combinations of exchanges of house lords, eg, exchange of 1st and 2nd lords. For each combination, he provides two short quotes from a classic Jyotish text, Brihat Parashara Hora Shastra, and adds interpretations; lists of famous people who share that mutual reception (by house lord); and a biography, natal chart, and analysis of that person’s mutual reception. The charts use the sidereal zodiac and whole sign houses. Annand’s biographical snapshots are compelling, and his interpretations offer both technical sophistication and a nuanced yet vivid view. Although the book has primarily a Vedic emphasis (he says, for instance, that the interpretations do not translate [perfectly] into the tropical zodiac), his astrological acumen makes this a very worthwhile book for Western astrologers as well. 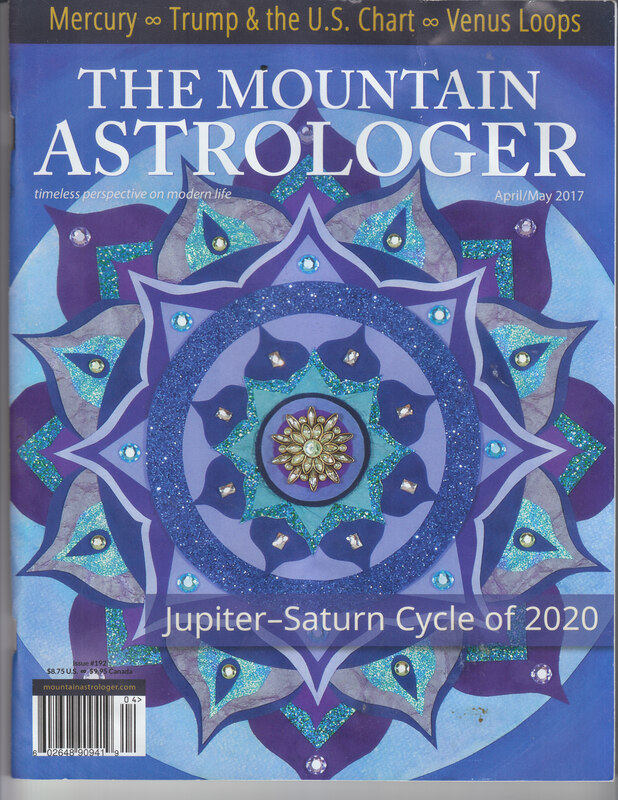 The author feels that mutual reception is one of the “core elements of astrological technique,” and his purpose herein “is to make clear what mutual reception is, and provide techniques for its interpretation when found in the natal chart.” He completes the book with “Summary observations,” “Cautions and strictures,” Appendices, a Glossary, an Index, and a Bibliography.